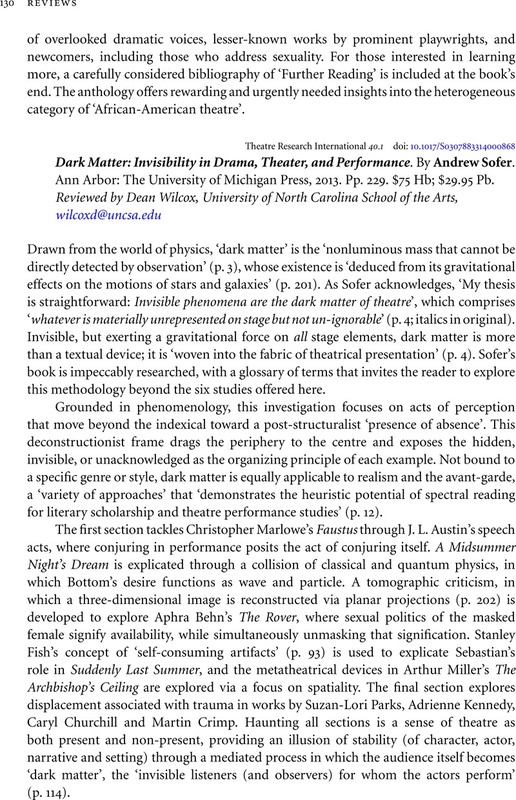 Dark Matter: Invisibility in Drama, Theater, and Performance. By Andrew Sofer. Ann Arbor: The University of Michigan Press, 2013. Pp. 229. $75 Hb; $29.95 Pb.